New and redevelopment proposals are certain to bring economic benefits, housing, employment opportunities and a serve as a catalyst for further business improvements and enhancements. 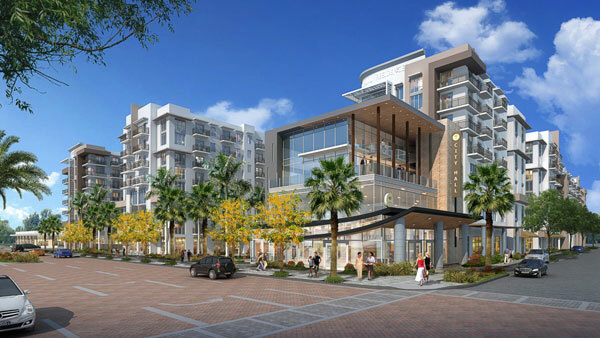 These projects are: the construction of upscale residential units at 6075 Sunset Drive by Alta Developers, the multi-use redevelopment of the Winn Dixie site owned by Facundo Bacardi, The Shops at Sunset Place, and the City Hall campus public/private partnership development. SoMi Station office building is another development; however this is under the control of Miami Dade County Transit & Public Works Department. 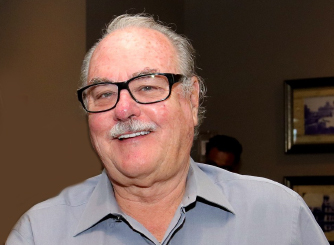 Of the four projects under jurisdiction by the City of South Miami, the Alta Developers residential development was the first to be approved in April, 2018. The Winn Dixie site redevelopment is anticipated to be reviewed by the city over the next few months; the Sunset Place proposals are undergoing further review with formal workshops and public meetings planned. The City Hall campus development is presently under initial review. It is an imperative that the city capitalize on what our founders realized in the 1920s: the uniqueness of our T.O.D.D. (Transit Oriented Development District) and its potential as the key to our economic growth. Our revenue base would increase and needs addressed for our business community and residents. The housing needs in our community – upscale, moderate, and workforce/affordable — have been minimally addressed in the last two decades. These proposals will address those needs. Overall these revitalization efforts will translate to a significant tax boast for the city’s budget allowing for great services and parks improvement without increasing residential taxes. An overview of these projects follows on the following pages with architectural renderings and brief summary. SOMI Magazine will be publishing periodic updates in upcoming issues. 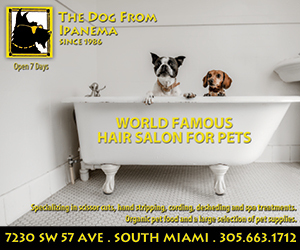 This 1.6-acre parcel that has frontages on SW 72nd Street, SW 61st Avenue, and SW 71st Street; and makes up approximately one-half of the block. Alta Developers will be demolishing the existing structure and build a multi-story building, with commercial and restaurant space and a total of 203 residential units located on the upper levels of the building and the ground floor level of the northern portion of the building. The unit mix consists of town homes, studios, and one-, two-, and three-bedroom units of varying sizes. The building will be eight stories in height along Sunset Drive and step down to fifty-two feet along 71st Street. Over the last few years discussions were had with city leaders as to the redevelopment of the property. Some thought was given to a boutique hotel or other uses, but serious concern was given to maintaining a grocery store in the area. What is now coming before the City for approval is the redevelopment of the site which will satisfy two needs of the community: a neighborhood grocery store and much needed residential apartments, which will bring more foot traffic into our town center. The developer is looking at a financial layout of some $100 million. The redevelopment would include an expanded Winn-Dixie store to some 30,000 sq.ft., from its existing 19,216 adj.sq.ft., 15,000 sq.ft. of retail and 2 upscale residential towers of one, two and three bedrooms. The new Winn-Dixie store will be modelled after its new model at the Baymeadows store in Jacksonville which provides a contemporary, friendly and exciting in-store environment. 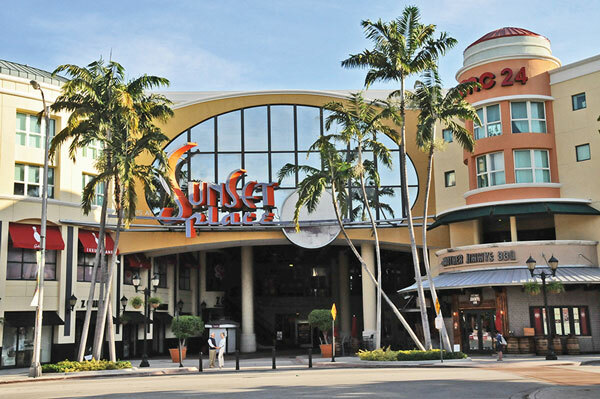 The nearly 9 acre Sunset Place parcel was acquired from Simon Properties for $110 million in late 2015, by a new ownership team comprised of Federal Realty Investment Trust, Grass River Property, and the Comras Company. 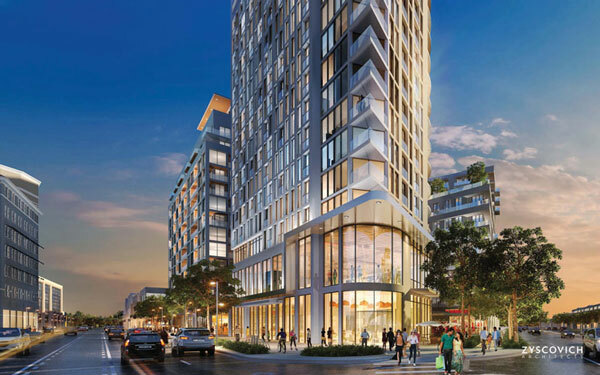 The vision by the new owners is a transformation of the property into a walkable urban center where people can live, shop, eat, gather, and conveniently commute to work on the Metrorail. Plans call for newly designed street-level retail and two residential buildings comprising some 414 units and a hotel with approximately 182-rooms. On the drawing boards is a thorough program of façade improvements and the introduction of exterior facing storefronts designed to increase the center’s connectivity with the surrounding neighborhood. When first presented to the City Commission in November 2017, the complex enabling ordinances, which at that time required a unanimous 5/5 majority vote failed, before the overall plan could be given consideration. In frustration, the developers left disillusioned. Efforts have been undertaken by the city administration over these intervening months to bring the proposal back for discussion. 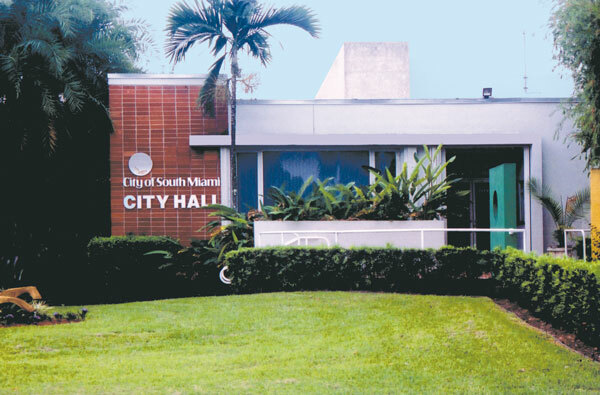 By straw ballot referendum in November 2016, a notable majority of the city residents voted in favor of considering the sale of the City Hall property for redevelopment. A public private partnership is presently under negotiation between the Lynx Companies and the City. The City has some public facilities that have become outdated and are located on properties too valuable for their current use, namely City Hall and the Police Station. The plan addresses the replacement and upgrade of these facilities while placing them in locations more purposeful for the current and future needs of the City. The developer has chosen a design concept taking into account development options and locations adjacent to and in the area of the 6130 Sunset Drive location. In addition to a new city hall on a prominent corner of the campus and the relocation of the Police Station, there are proposed approximately 312 market rate multi-family apartments for above median income families, small mixed use/retail component and an Assisted Living Facility component. Upon approval by the city, the project in its entirety would be completed in three years. 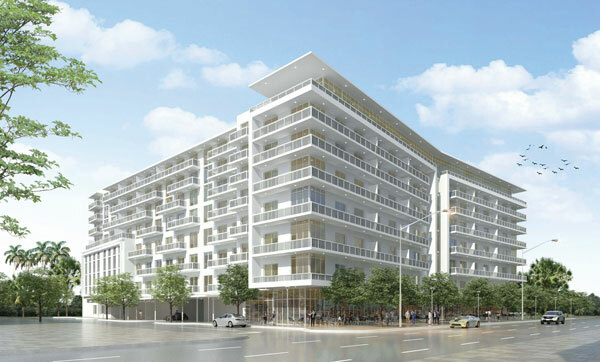 After some nineteen years mired in intrigue, delays and lawsuits, a new Class A office building, retail and student housing apartments named “SoMi Station” is now planned to rise on the corner of Sunset Drive and US1 at the gateway to South Miami’s retail and restaurant district. 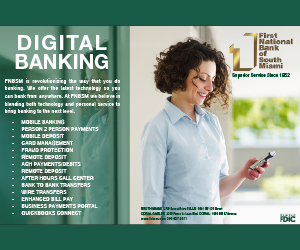 The approximate 7.7 acre site is eing developed by the Treo Group, a privately held real estate investment firm. 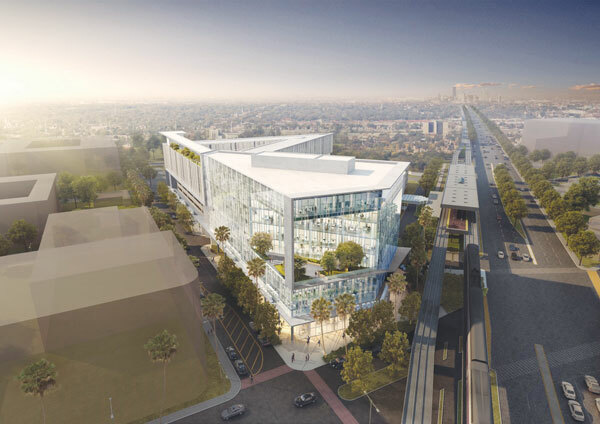 This mass transit-oriented and state-of-the-art Class A office building will display compelling architecture designed by Perkins+Will, an internationally-renowned architecture and design firm. 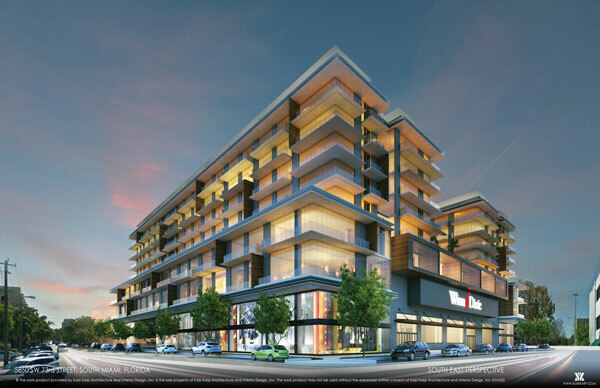 Ninety-nine student housing units are included in the project, which also calls for ground floor amenities, such as shops and restaurants, which will complement the SOMI town center’s live-work-play-learn environment. 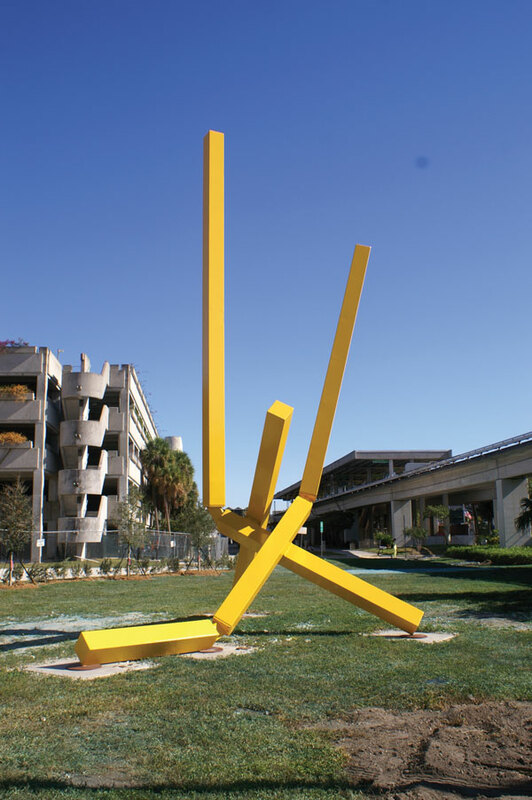 The development is under the aegis of the Miami-Dade County Department of Transportation & Public Works. Earlier architect’s rendering showing the proposed new development with lot line built out to the street. New plans will provide for a town center plaza. Architectural renderings for Gateway Hotel Entrance and San Remo entrance. You know what we don’t need, more “UPSCALE” condos, when we moved to south Miami 37 years ago, there were people, places, and affordable homes for regular working people. Same with all around the county, rather have UPSCALE than actual nice working people. The trend won’t stop. The greed will continue, we personally have had a great life in the area, but we hardly go to businesses in south miami or even the Grove, parking is expensive, and the pay by phone has not worked in the south Miami area, we go for one thing, Supercuts, but I have changed to my more expensive options who offer parking without fear of an High dollar ticket to go in our local stores or dining, would love to see south Miami step up to businesses to help. 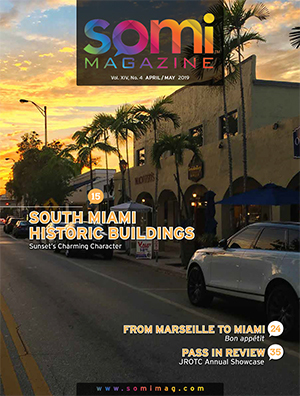 So sorry, yesterday, park by phone didn’t work, for the third try in last couple months, so you all need to fix it… so sad to see all the businesses and restaurants close, leave south Miami, it could be a hometown downtown, but it’s not. Please pay attention. I live in South Miami. Folks like, “Bicycle Bob” will not have a place here in the coming years, as the new generation moves in. Us millennials want density, we want places of gathering to take our families and friends to dine and entertain. The very folks that have so long kept this city stagnant and against all growth will soon see their own demise. Onward and upwards, and do not vote for folks like “Bicycle Bob” and the other historical naysayers – I sure won’t!